Ebola has now infected 3,000 people, and killed more than 1,500. Though the highly fatal and contagious virus disease shows no signs of slowing down, science have made a breakthrough in finding a possible cure. The experimental Ebola drug ZMapp has cured monkeys of the disease, even after they had started exhibiting severe symptoms. ZMapp has also been used successfully on humans infected with Ebola, but this new discovery bolsters the drug's potential to be a proven cure for Ebola. On Thursday, the World Health Organization revealed that the rate of the outbreak is still accelerating and the number of cases could reach 20,000 in nine months. For the study, co-authored by ZMapp producers Mapp Pharmaceutical's own scientists, 18 monkeys were infected with the Ebola virus and then given the drug three, four, or five days later. 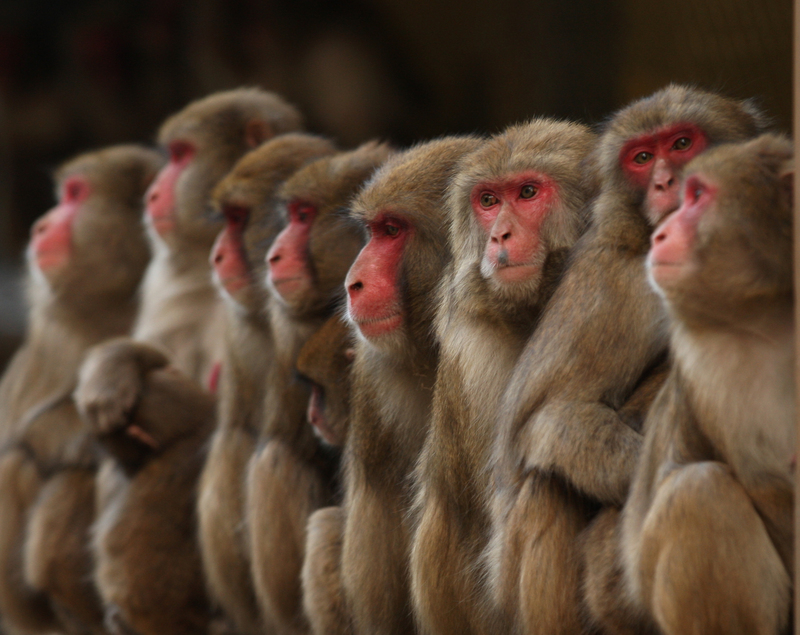 All 18 monkeys survived, regardless of when their treatment started. The three infected monkeys that were not given the drug all died. The findings are crucial in determining how effective ZMapp is in relation to the patient's stage of the disease, which has been a point of contention with researchers. The experimental drug is a concoction of three purified immune proteins — monoclonal antibodies — that target and fight the Ebola virus. According to a press release from Mapp Pharmaceuticals, these antibodies combine "the best components of MB-003 (Mapp) and ZMAb (Defyrus/PHAC)." A 2012 study found that Ebola-infected monkeys that were given MB-003 one hour after infection survived. In another study the following year, monkeys that were given ZMAb within 24 hours of infection also survived. Last week, Dr. Nancy Writebol and Kent Brantly, the two American missionary workers who were infected with Ebola while in Africa, were released from Emory University Hospital completely cured. Both Writebol and Brantly had both been given ZMapp, with Brantly receiving his first dose nine days into infection. After Writebol and Brantly, ZMapp was also given to five other patients: three health-care workers in Liberia, a British nurse, and a Spanish priest. All of the patients survived except for one of the African health-care workers and the Spanish priest. According to the study, ZMapp is effective against Ebola even in advanced stages of the disease. The findings show that the drug is the first of its kind to successfully cure monkeys that were already showing advanced symptoms like fever and the weakening of blood-clotting proteins. In humans, the large majority are unable to walk or even sit with this level, and most will die within 24 hours. According to Thomas Geisbert, a virologist at the University of Texas Medical Branch at Galveston, five days of infection in monkeys is equivalent to about seven to nine days in humans. This is important because most humans start experiencing symptoms between eight and 10 days after infection. Mapp Pharmaceuticals has announced that its supply of ZMapp has been depleted and that it might not be available again for months, but it is working with government agencies to increase production as quickly as possible. While ZMapp hasn't even begun phase 1 clinical trials, meaning it hasn't been approved for human use yet, Writebol and Brantly could well be two living examples of why this drug should be further developed.